An active kid is a healthy kid! 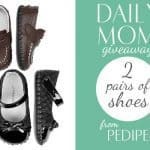 Whether your kid is on the move everyday already or you want to get her moving, a gift to encourage physical activity will be good for the whole family. 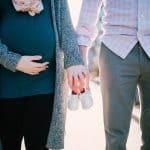 An active kid will have active parents. 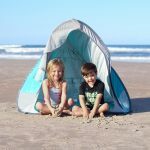 Weve picked some great products to get your kid off the couch and outside exploring the world around her. 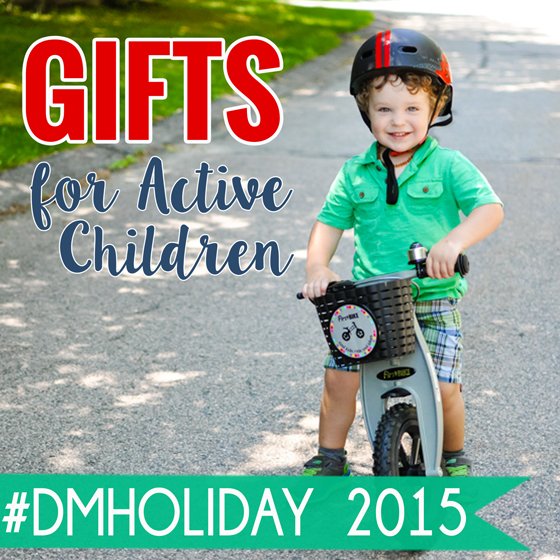 With these gifts for active kids, you can have fun and get healthy together as a family. 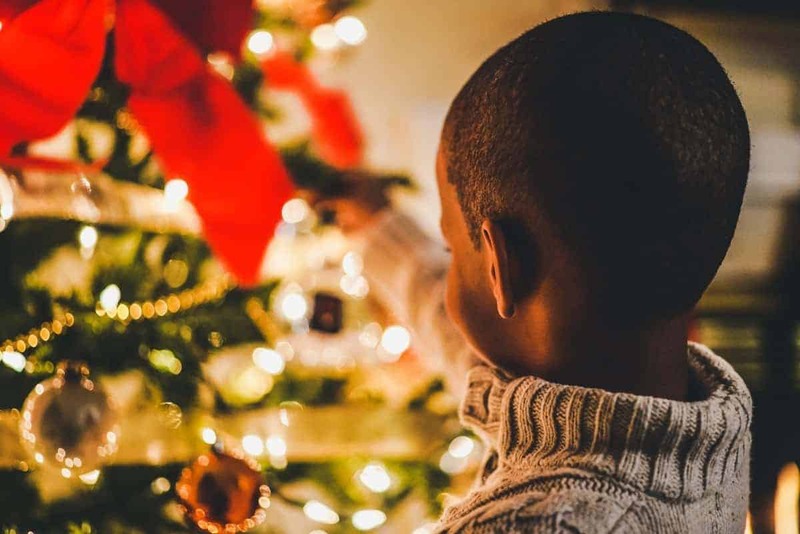 Skip the mindless video games this holiday season and give one of these gifts that will be a whole lot more fun and have a greater benefit on your childs overall well being. Islabikes are the children’s bicycle specialist! They are a company started by Isla Rowntree that produces bikes and only bikes. Her experience in bike design, custom building, and riding make her the perfect person to create a range of bikes that are simply perfect for the job. Because Islabike’s understands how flooded the marketplace is with attractive looking bikes, they had to set out to create something that far surpassed the competition. Their collection of bikes are not designed to be “toys”. Every bike is created with obsessive attention to practical detailing, ride-ability, and durability. They pay special attention to every little detail. 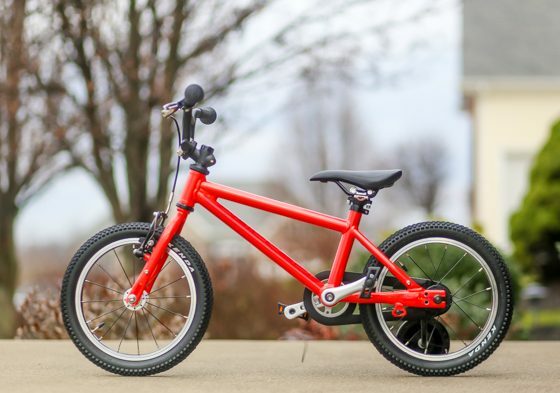 Islabike incorporates age-specific frame design as well as proportionally downsized components, including brakes that can be easily and confidently operated with small hands. The gearing, crank lengths, and components are all chosen to be perfect for the age range of each bike. 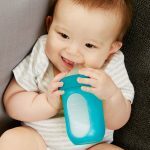 Islabike wants to ensure that they are offering consumers a high quality product that will stand the test of time and be loved by multiple children. Their collection of bikes ranges from a balance bike for ages 2 and up all the way up to amazing bikes for your pre- and young teens. A notable milestone in both children’s and parent’s lives is learning to ride a bicycle, and the Cnoc 14 is a fantastic starter bike for kids, starting around age 3. Have a child older than 3? Not to worry; they have a very large selection of bikes for children of all ages, all designed with quality in mind. Cnoc 14 is a fantastic start to the world of cycling for your little one. Islabikes knows the importance of outfitting the proper bike for your child. This is why they start this bike with a custom-made, lightweight, aluminum frame and a premium chromoly steel fork. The Cnoc 14 makes for an incredible and comfortable ride for your little ones. Every bicycle component is scaled down and positioned just for children’s little bodies. They have both smaller chainrings and sprockets that offer a perfect learning gear and free-floating chain guards which keeps oil away from legs, hands, and clothing. The perfectly shaped seat ensures that your child is sitting correctly and in the ideal position with respect to the pedals. 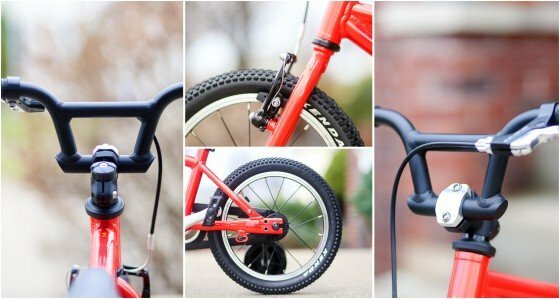 The bike has child-specific, micro-reach, aluminum brake levers that can be easily operated by tiny hands. Islabike has ensured that their bikes are as safe and easy to stop as they are to get going! These bikes took years of development and attention to detail and it certainly shows. Do you have a little one that can never seem to sit still? Well it may be time to get them riding out some of that energy on a bike! 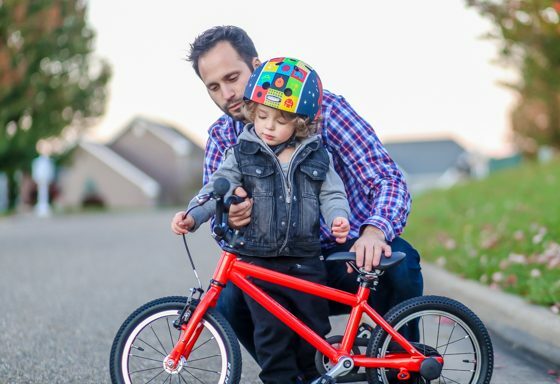 These bikes were created for the parents that cannot wait for their child to hit that special milestone of learning to ride a bike but don’t want to sacrifice any ounce of quality on the way. The journey of Wishbone Design Studio began in a cozy bathroom in New York City in 2005. 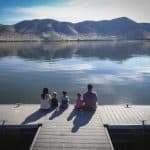 As parents to two, Rich and Jen wanted to create something that would give their children a taste of the childhood they had. Memories full of long grass and fresh air where children played on their own. The days where you ran around and played until the dark set in. As a company, they strive to create designs that not only transform your experience but also reduce consumption and deliver a positive outcome for the environment. 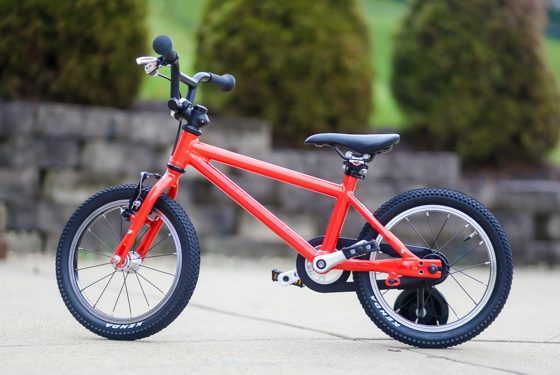 They were able to reduce consumption with their first creation of a bike that can take your child from age 1 all the way up to age 5. 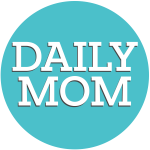 One of their mottos is (which Daily Mom stands firmly behind) “Maybe  just maybe  youll resist the temptation to buy more stuff because what youve already got is great”. 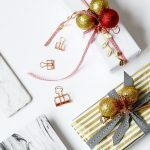 Because social, ethical and environmental sustainability is important to Wishbone Design in all aspects of their company, they strive to use raw materials whenever possible and pay close attention to where and how they manufacture. This year, Wishbone Design Studio introduced a new product. Their 3-in-one wagon is every bit as amazing as their original 3-in-one bike. This is SO MUCH more than just a wagon! It’s a wagon, a foot-to-floor car and a go-cart all-in-one! Your little ones can use it for whatever their creative minds decide. To stand behind their testament to products that stand the test of time, this wagon is great for ages 1-10. The wagon has a low center of gravity and air filled tires and is crafted of birch plywood with a lightweight aluminum handle. The steering wheel is fully functioning and there is a hinged hatch door for foot-to-floor fun. Children have three different options for the handle position. They can pull and steer from the front, push from the back or stow for downhill action. 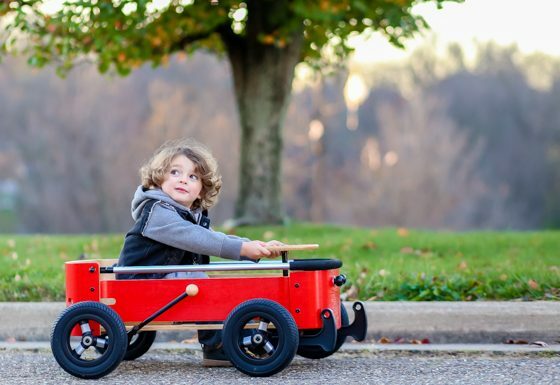 This car, cart and wagon is sure to become a quick favorite for outdoor play. 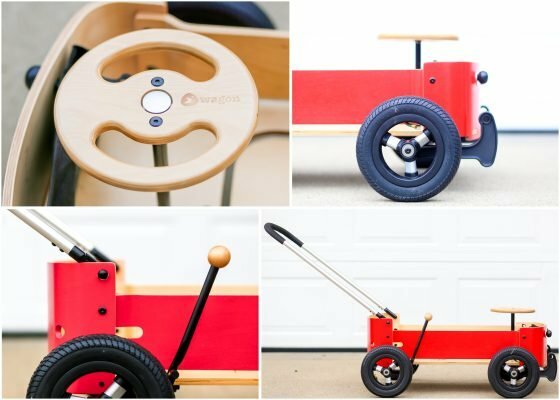 The Wishbone Design Studio wagon is perfect for kids of all ages! They will be provided with countless hours of fun pushing, pulling and playing together. This can be a race car, a rocket ship, or a carriage! They will only be limited by their own imagination. For parents that pay close attention to the backbone of the companies they purchase from, Wishbone is a sure hit every time! Penny Longboard founder, Ben Mackay, has a strong passion for understanding what it takes to design a great skateboard. He has combined his knowledge of manufacturing and design in order to come up with a quality high performance, long-lasting and exciting skateboard. He takes great pride in ensuring the fundamentals of the Penny Skateboard are balanced which is why Penny Skateboards are all above their competitors. Each board is built with the highest quality of raw materials and fine-tuned with extreme attention to detail. They’re designed and built to not only look good and perform well, but exceed all of your expectations you might have when seeking a quality skateboard. The Rasta 36″ Penny Longboard is formulated by a secret plastic formula designed for added strength and flex control. 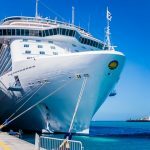 It’s suitable for a longer deck that performs well on several different terrains whether cruising downhill or along-side an ocean pier. This skateboard features a classic combination of a deep black waffle top non-slip deck. It comes standard with an additional layer of granular textured grip, yellow-coated reverse kingpin trucks with lime green deck bolts, 69mm red 83A wheels with matching cushions along-side a premium Abec 9 v-channel bearings. The Penny Longboard is designed with a unique concave shape and natural flex that provides the best possible ride. The Rasta 36″ Penny Longboard is the ideal board for anyone who loves skateboards. There is a board for every special boy or girl in your life. 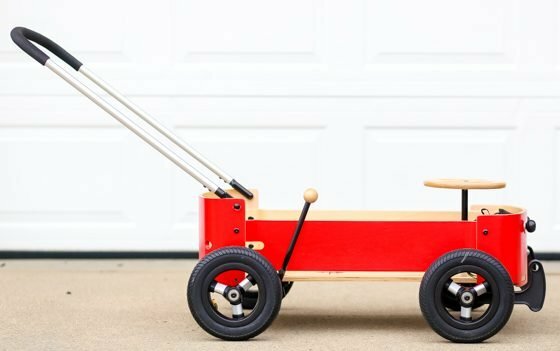 For 97 years, Radio Flyer has been an American Icon; creating and withholding the standard for quality, classic children’s toys. It all started when 16-year-old Antonio Pasin found his calling after traveling to America in search of a better life. After working several jobs over the years in Chicago, skilled craftsman Pasin eventually saved enough money in 1917 to rent his own one-room workshop where he hand-crafted wooden wagons at night and sold them during the day. By 1923, Pasin had a handful of employees, and his new company “Liberty Coaster” sold their “No. 4 Liberty Coaster” wooden wagons directly to stores. This was the first of many historic wagons in Radio Flyer’s history. In 1930, Liberty Coaster began producing steel wagons and became “Radio Steel and Manufacturing”. They were the world’s largest producer of toy coaster wagons. Pasin named the first steel wagon the “Radio Flyer”. 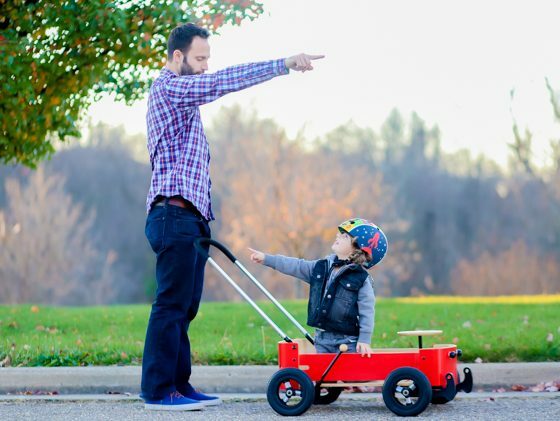 Over the next few decades, Radio Flyer became a household name, producing war gear, gardening carts, racer cars, ski sleds, motocross bikes, outdoor lawn furniture, mountain trikes and much more – all the while, staying true to Pasin’s wish from the very beginning of his journey to “bring joy to every boy and every girl”. In 2003, Antonio Pasin became the 44th toy innovator to be inducted into the Toy Industry Hall of Fame. 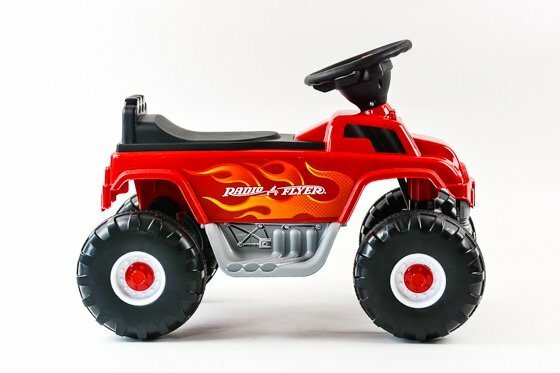 Radio Flyer’s battery-powered monster truck ride-on is designed in reflection of a classic monster truck, with realistic lights and sounds. With a safe, but child-thrilling speed of 2 MPH, this monster truck ride-on will provide hours of indoor and outdoor fun for your little ones. 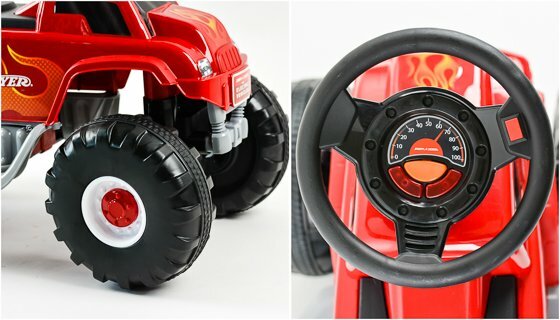 Recommended for children 1.5 up to 7 years old, the monster truck ride-on has an easy push start button, large steering wheel and wide footrest, making it comfortable and manageable for children of any age to maneuver. It operates on a 6V rechargeable battery. 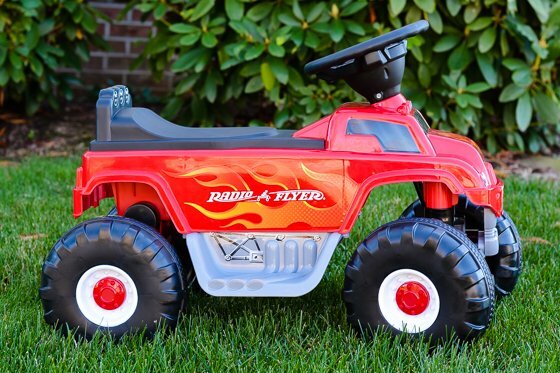 Radio Flyer’s battery powered monster truck ride-on is the perfect gift for little ones who love the thrill of being on the go. This realistic looking monster truck will fill any little kid’s need for speed, and any parent’s desire to provide their children with a quality, safe product that will withstand the test of time. Micro Kickboard is the United States distributor for a Swiss company called Micro-Mobility, an innovator of scooters and kickboards and used for urban and suburban mobility. 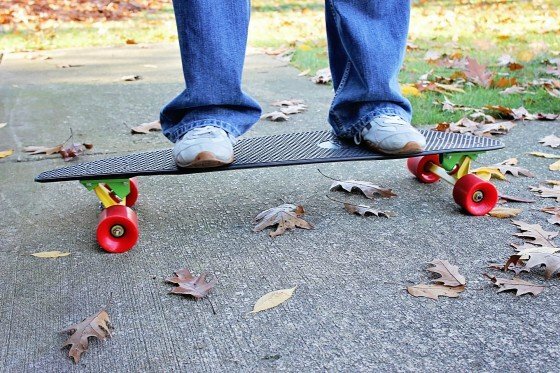 Micro Kickboard scooter owners now include families, college students, grocery shoppers and kindergartners. Micro has a scooter for just about everyone in the family, and their kickboards can be enjoyed from a young age into adulthood! 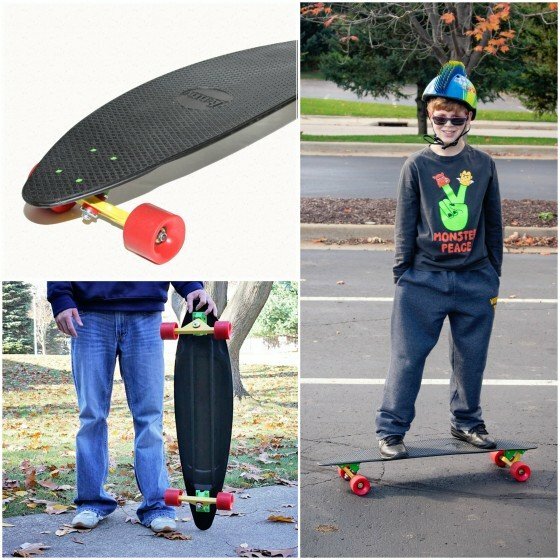 Micro Kickboard designs come in an array of colors so you are sure to find the perfect kickboard for the active child on your shopping list this holiday season. Their 3-wheel construction and unique lean-and-steer design combine for extreme curving and carving, creating the feel of “surfing the sidewalks”. Your child can ride in safety and style with the variety of accessories available from Micro Kickboard. 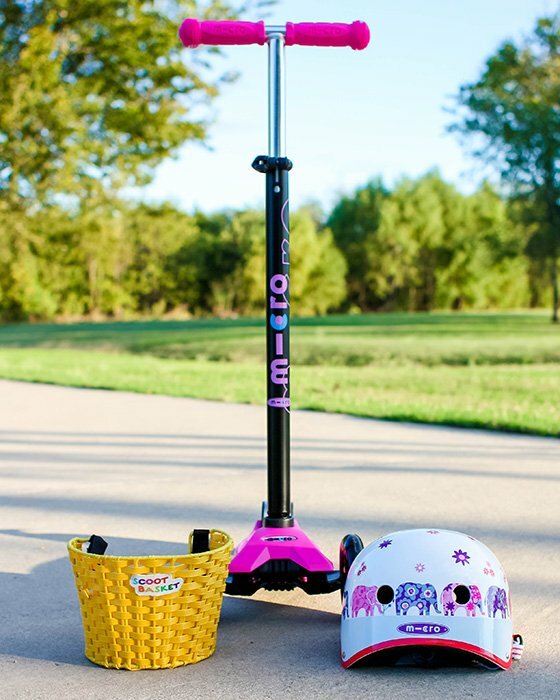 From Scoot Baskets to helmets, Micro Kickboard has just what your child needs to safely cruise around the neighborhood. Their Scoot Basket attaches to the T-Bar handles with Velcro and is waterproof so it is sure to withstand the wear and tear of whatever your child decides to tote around. Their helmets provide the utmost protection for little heads while still being easily adjustable and easy to fasten so that they are comfortable for children to utilize. 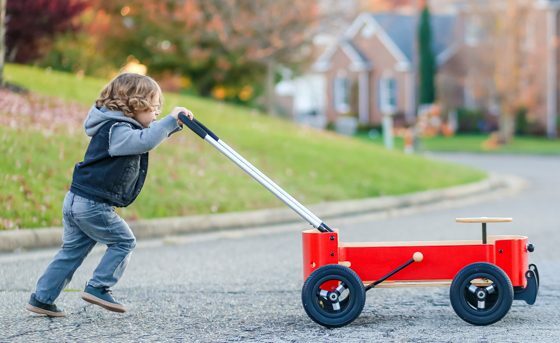 Micro Kickboard scooters are versatile as the T-Bar will extend upwards to grow with your child, and the 3 wheels help them gain balance and gross motor skills. Micro Kickboard scooters and accessories make the perfect gifts for the active child in your life. Ideal for expending energy in a healthy and exciting way, these scooters will stand the test of time and grow with your child for years to come. Who says that just because helmets are safe that they have to be boring? Nutcase certainly doesn’t! Presented to the world in the spring of 2006, this helmet company is anything but ordinary. Creator Michael spent 6 years perfecting and developing his idea. 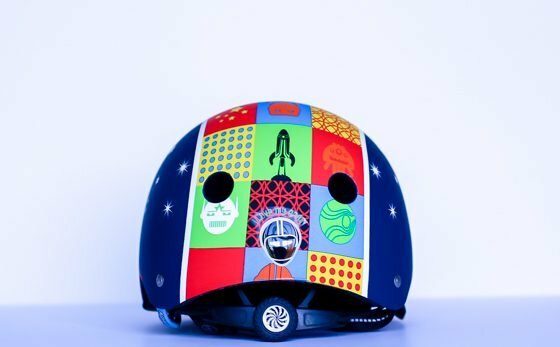 These helmets combine highly visual graphics with multi-purpose helmet designs that are both safe and popular among bicycle, skateboard, scooter and in-line skate enthusiasts. He knew that the marketplace could use an option that was both visually fun and expressive. Kids don’t always want to be bothered to put on their helmets, but with an “accessory” as fun and individualized as Nutcase that is hardly a problem. 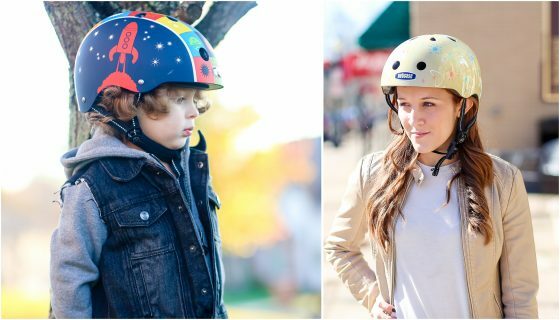 Nutcase scales down their adult size helmets by taking all of the best features you love from their bike and skate helmets and making them into a great (and safe) option for little ones! These helmets have a smooth contoured shell, are lightweight and have extra pads that grow with your kids. Little Nutty helmets have a no pinch Fidlock® magnetic buckle that allows for simple one-handed operation, the adjustable and removable spin dial gives a snug, comfortable fit and a deluxe soft chin pad provides extra comfort. No need to worry when the sun is out. All of their helmets come with detachable visors to protect you from the sun and the rain. Active kids usually have active parents. Luckily, Nutcase offers fantastic options for adults as well and they have all the same amazing safety features. Each helmet contains crumple zones in external EPS (hard foam) to help disperse energy in the event of a crash. 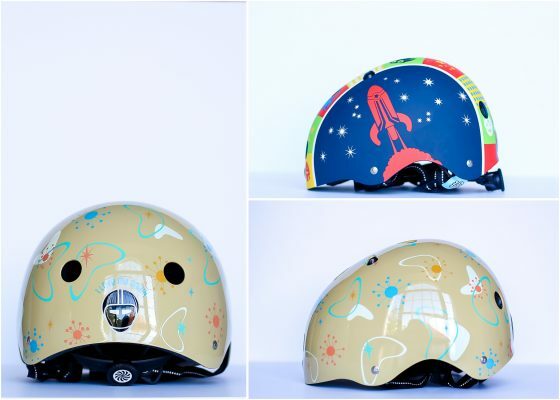 Their helmets are certified to be safe for cycling, scooting, and skating standards by CPSC and ASTM F1492. Helmets certainly aren’t something you want to skimp on when it comes to safety. After all, we love our brains! 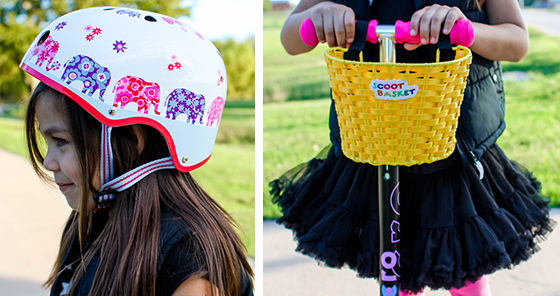 Nutcase helmets are perfect for kids on the go. 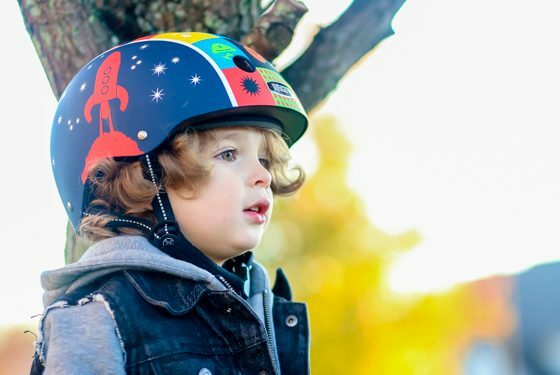 Whether they are just learning to ride a bike, are an experienced skateboarder or even just a child who is SO active they should have a helmet on at all times, Nutcase has a helmet that will be the perfect fit! Don’t forget – they also make great helmets for adults too! 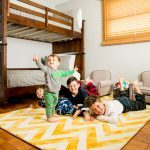 The company Gorilla Gym was started by two Boston-based entrepreneurs, Peter Velikin and Kiril Alexandrov, who were looking for a way to keep their children active while indoors. In turn they created the Gorilla Gym which is essentially an indoor “playground”. It began as just a door-mounted unit from which you would hang a swing and evolved into so much more. It is now a system with a wealth of options. 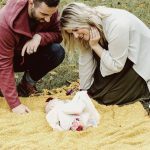 The two eventually developed a number of attachments for boxing, yoga and other exercises  as well as additional indoor playground equipment such as trapezes, ropes and ladders. The Gorilla Gym has become a hit with families everywhere. After all, keeping kids active, healthy and happy even when they are stuck indoors is important. 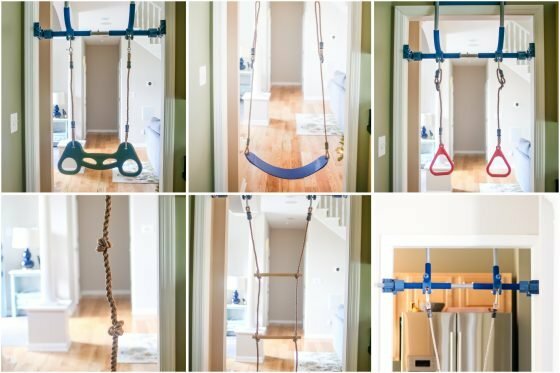 The Gorilla Gym makes it simple to climb, swing, play and burn energy in your own home. Essentially, it brings the outdoors indoors and keeps your kids occupied and burning energy. To install this system there is no drilling, hammering, or holes. 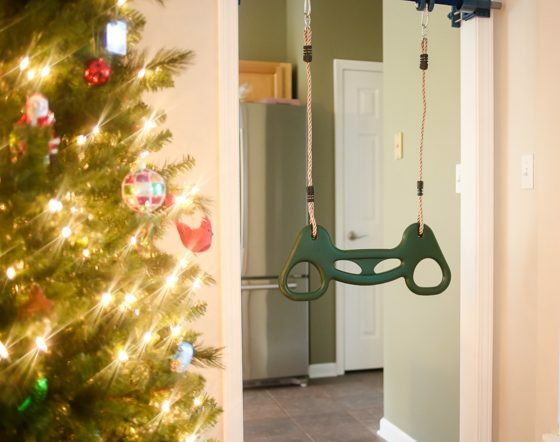 Simply, the Gorilla Gym attaches to your door frame in minutes similar to a home pull-up bar. It has a patented vise grip that adjusts to fit your door frame and adds a high level of security. These grips support swinging motions. And don’t worry, adults can enjoy it too because the Gorilla Gym can support up to 300 pounds. It will install in less than a minute and is portable, lightweight and fun. The Gorilla Gym is as safe for your children as it is fun! The swings have been tested and certified according to the ASTM International Standards for home playground equipment. This is truly the world’s most versatile home gym for kids. It will provide countless hours of entertainment for your children, freeing up time for you to make dinner (or relax on the couch)! 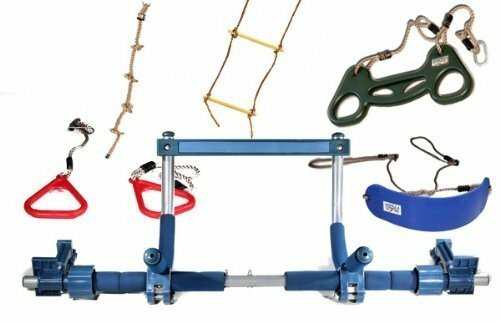 The Gorilla Gym is the perfect gift for the child who is already getting antsy being stuck indoors this winter. Being sedentary just doesn’t work for kids. With the Gorilla Gym you can bring the fun of outdoors, indoors. Bixbee desires to play a positive role in educating children around the world. The company was established in 2011 with the launch of Schoolbags for Kids. Now for every designer backpack that Bixbee sells, they will donate a school bag and supplies to a child in need. 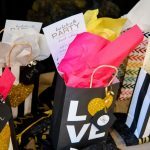 Bixbee is proud to have donated thousands of supply-filled bags over the years, and you can feel good about your purchase from Bixbee knowing that your purchase will help a needy child succeed. 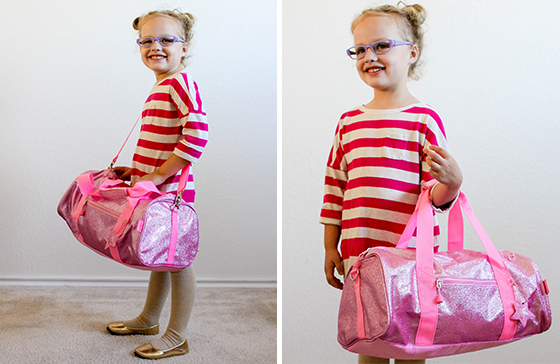 Let your girl sparkle from the inside out with this fun and sassy duffle bag. Bixbee bags are a must-have accessory for school, sports or sleepover nights away, and are a spunky and glittery accessory for your active child. Each bag includes a star sparkle charm, so your little star will love the details of this “Sparkalicious” Glitter Duffle! The “Sparkalicious” Glitter Duffle is as roomy and convenient as it is fashionable, with a zippered pocket on the outside and several slip pockets on the inside of the bag to hold all of her accessories and necessities. The versatile handle makes carrying a breeze for girls young and old. 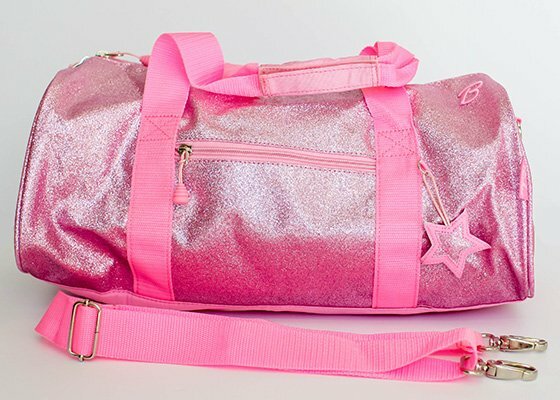 The “Sparkalicious” Glitter Duffle is perfect for your active diva and will store all of her on-the-go essentials for school, sports, overnight trips and beyond. Next articleUltrasound Gender: To See or Not to See?